Furbo is a pet camera with a built in treat dispenser designed just for dogs. The Furbo camera allows you to see, communicate, and toss treats to your dog when you’re away from home, all via an app on your mobile phone. 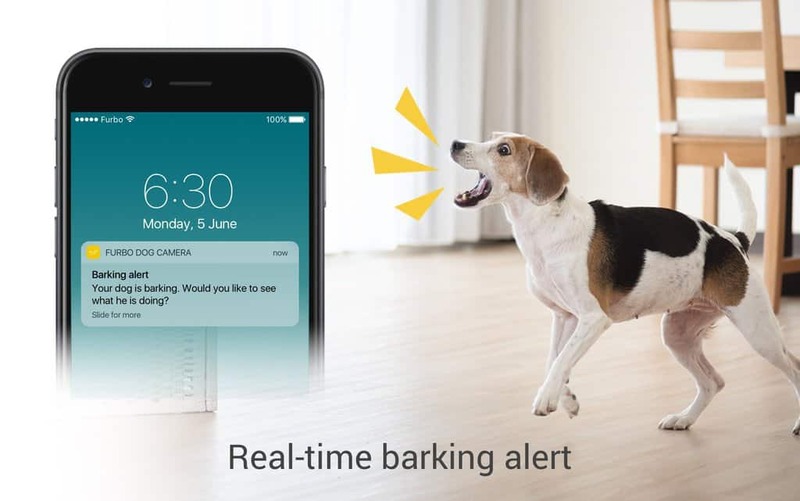 When your dog barks, the Furbo Dog Camera sends you an alert so you can immediately check in on them and make sure they’re okay. With the Furbo, there is no need to fret again, as you can keep a close eye on your furry loved ones, no matter where you are.